The muscadine grape (Vitis rotundifolia) is a fruit-producing vine that is indigenous to areas throughout the Southeastern United States. Muscadine grape vines are one of easiest to grow varieties for the home garden since they are both disease and pest resistant. They can be eaten raw, or used in making jams, jellies, juice and wine. Muscadine grapes are easily propagated by seed, but will not grow true from seed. Cut the muscadine grapes in half using a sharp knife. 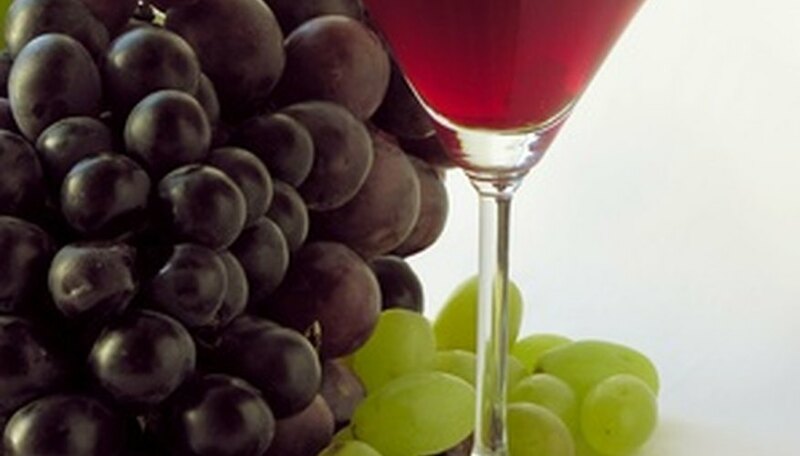 Remove the seeds from the pulp of each grape. Set the clean muscadine grape seeds onto a paper towel to dry overnight. Fill up 6-inch pots with enough potting mix until each is full to within approximately 1/2 from the top of the rim. Poke a 1/4 inch deep hole in the center of each of the 6-inch pots. Plant 2 muscadine grape seeds in each of the 1/4 inch deep holes. Cover up each of the muscadine grape seeds with 1/4 inch of potting mix. Place each of the 6-inch pots where it will remain above 60 degrees F. Provide indirect light for 8 to 10 hours a day. Keep the soil in the 6-inch pots moist, but never drippy wet. Germination of muscadine grape seeds can begin in 2 to 3 weeks or require as long as 6 months to one year. Transplant the muscadine grape vines once they are 6 to 8 inches tall. Choose a sun-filled area for planting the muscadine grape vines. Dig holes for the muscadine grape vines that are between 10 and 20 feet apart in rows that are at a minimum of 8 feet apart. Turn the growing containers on their side and use a trowel to tap along the rim to remove the muscadine grapes vines from their growing containers. Plant one muscadine grape vine per planting hole. Set the muscadine grape vines so they are level with the soil surface. Scoop in soil to fill the planting holes full of soil. Water each of the muscadine grape vines with approximately 1 gallon of water. Plan on watering the muscadine grape vines if there is less than 30 inches of rainfall for the year and if there are dry spells lasting longer than 60 days. Provide 2-gallons of water per muscadine grape vine during the first year, all subsequent years provide 12 gallons of water per vine. Spread 1/4 pound of 10-10-10 fertilizer approximately 2 weeks after planting. Keep the fertilizer 12 to 14 inches away from each of the muscadine grape vines. Do this every 6 weeks until the middle of summer (July). Double the amount of fertilizer the second year of growth and apply it during the months of March, May and July as recommended by North Caroline State University. Plant muscadine grape seeds in late winter (January through February) through early spring (March through April). If you can't plant the muscadine grape vines near a fence, or similar type support, you will need to build a trellis type support system so the vines will have something to cling to. See the resource section for information on building a grape trellis.